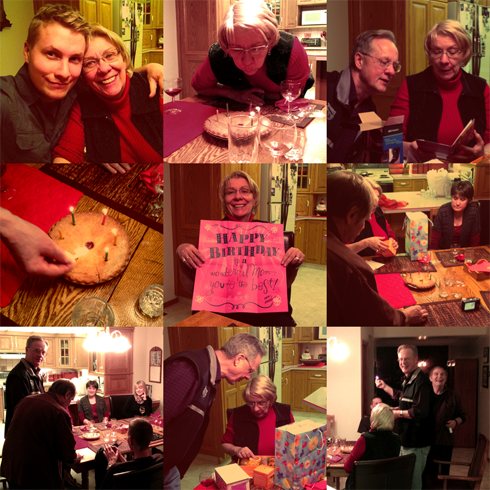 On Friday night my family got together to celebrate my mom's birthday. Over Chinese food and birthday pie we shot the breeze, gave a few gifts, and as is usually the case, laughed at a lot of our own jokes. It was fun, and no one got mom a bigger card than I did. That's got to count for something, right?